Now that you have the Assistant running on the device, it is time to extend it with Device Actions. Device Actions allow you to control your device via voice. For this example, you will be using a Built-in Device Action to turn a light on and off. 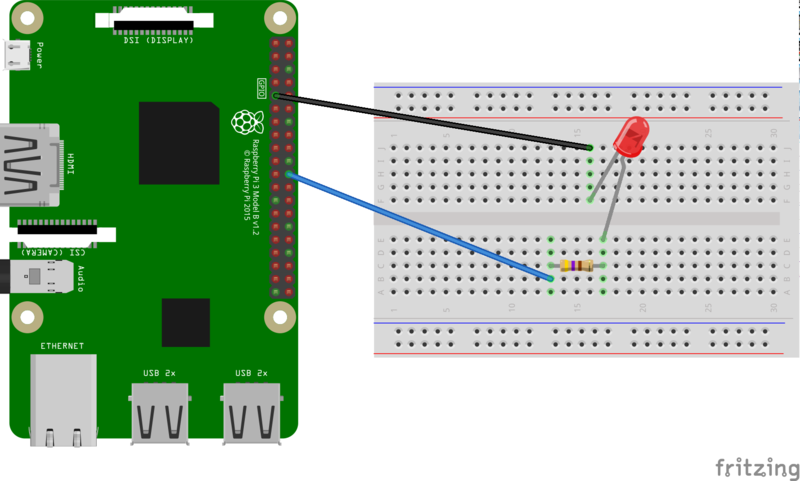 Follow these instructions to install an LED on the Raspberry Pi 3 Model B. In a later step, you will modify the sample code to light the LED by voice command. Note: Don't worry if you don't have an LED at the moment. You can still set up a Device Action and print some output to the terminal. The electrical resistance of the resistor should be tied to the specific LED. To find the correct value, you can use an online calculator (or purchase a kit). Note: You may want to disconnect power to the Raspberry Pi to avoid short circuits. Connect GPIO output pin BCM25 to one side of a series resistor. Note that this is physical pin 22 on the Raspberry Pi 3.